For the new edition, Jennifer Pryor and Ammani Prasad hand the baton of editorship and their lasting legacy over to Eleanor Main and Linda Denehy. 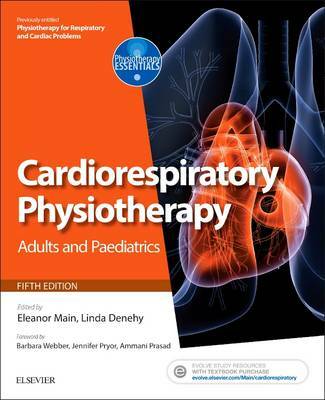 With a team of over 60 international expert authors, the new editors have incorporated major changes reflecting current cardiorespiratory physiotherapy education and practice. Integrates evidence with clinical practice - Case studies used to facilitate problem solving - Boxes throughout highlighting key issues and points - Emphasizes the need for a holistic approach to patient care - Bank of 350 images on Evolve Resources. Log on to https://evolve.elsevier.com/Main/cardiorespiratory and register to access.